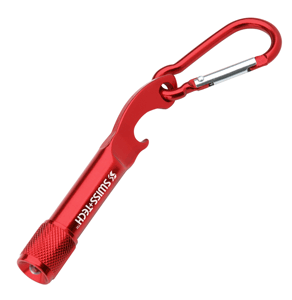 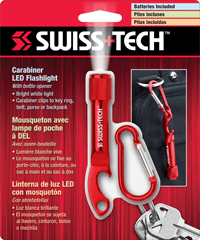 The Carabiner Flashlight has a bright, long-lasting LED flashlight that turns on with a twist of the bezel. 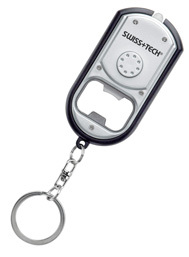 Bottle Opener built into the body of the flashlight. 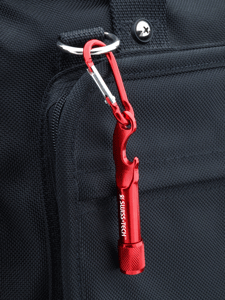 Removes easily from Carabiner clip for easy use. 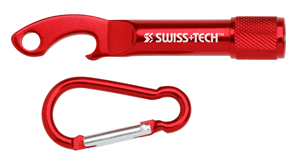 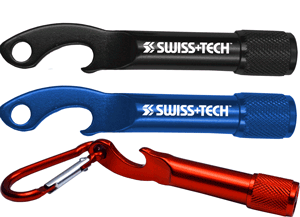 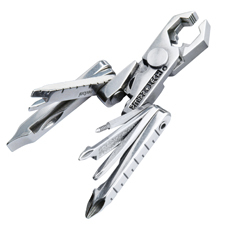 Strong aluminum body with Carabiner clip can be attached to a key ring, backpack, purse, etc.